We stock a selection of fans, filters, ducting and extraction accessories to get the perfect environment. 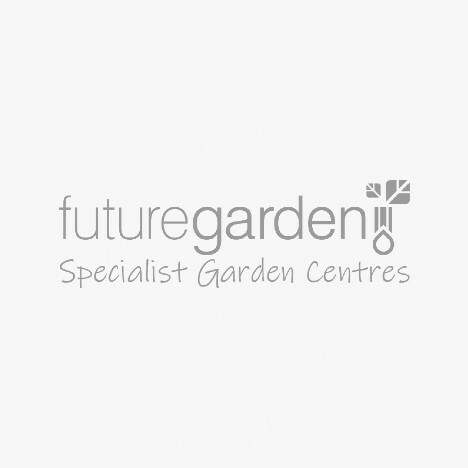 A range of top brands with an assortment of sizes to ensure every indoor garden is catered for. read our buyers guide below to for help and advice, or get in touch with our in-store experts. Your environment plays the most important role in plant health which correlates to overall yield and quality. Plants require carbon dioxide (CO2) to photosynthesise, a process which slows as CO2 becomes less available. In a hydroponic setting, extraction and intake fans refresh stale air caused by the transpiration of plants in the system. Many indoor gardens use one large extraction to remove hot humid stale air from the top of a garden. This creates a negative pressure which draws in fresh air through small gaps around the garden, acting as a passive intake. Some gardens use an active intake, where a slightly smaller fan than the extraction is fitted to actively draw fresh air into the room, whilst still maintaining negative pressure. AC fans run on the same type of electricity that's supplied to residences and businesses - AC fans represent the traditional solution that has been used in the industry for years. AC fans such as RVK’s use reliable components and can last decades. When placed on a controller, AC fans use the same amount of electricity as when running at 100%, so less air is being moved for the same electrical costs. Due to the pulsating nature of AC electricity, AC fans on controllers have a tendency to hum - counteracting the use of a controller to reduce noise. EC fans are the newest type of fan in the market, they’re more electrically efficient than standard AC fans so more air is moved for the same electrical cost. EC fans respond better than AC fans when on a fan controller - The amount the fan is reduced has a corresponding effect on the amount of electricity used, unlike AC fans. They’re plugged into a standard plug and the on-board electronics convert the electrical signal from AC to DC.The initial cost of EC fans is significantly higher than AC fans but due to their efficiency, they recoup the costs over time with electricity savings. Controllers allow fans to be turned down so they’re not running at 100%. This reduces the noise and air movement capabilities of the fan but allows extraction to be installed in areas where noise may be an issue, such as in a bedroom, where the constant sound of extraction fans could prevent you from sleeping. Carbon Filters are essential in any indoor garden. They remove volatile organic compounds (VOC’s) that are produced by plants thus allowing gardens to be operated in populated areas. Ducting comes in many sizes that are matched to the size of fans and filter. We’re able to supply a range of types of ducting that are tailored for different applications. Normal reflective ducting has been used within the horticulture industry for many years. It’s made from aluminium foil so it can reflect light but can tear easily. Combi ducting is constructed in the same manner as standard aluminium ducting but it has an extra robust black plastic layer around it. This allows combi ducting to be used in applications that require rugged ducting, such as feeding ducting through tight spaces where there's the potential for it to snag or rip. Phonic Trap ducting is similar to acoustic ducting but offers a better acoustic performance and uses a different type of insulation that’s not as irritating when it gets in contact with the skin, making it much more friendly to install, modify or take down. The day and night time temperatures within a growing environment can seriously affect overall yields - with plants preferring stable temperatures in the 20 - 25 degree C range. Whilst growth can still occur outside of this safe zone, growth will be slowed and may affect the total time and yield of a crop cycle which could have knock on effects to the management of future crops. Humidity is the amount of moisture in the air. As the temperature of the air increases, its capacity for carrying water also increases, meaning air at 100% humidity at 20 degrees C is carrying less moisture than 100% humidity air at 25 degrees C. Humidity within the grow room can have a huge effect on the different stages of plants. Cuttings and young seedlings need high humidity (between 70 - 80%) before they root as they’ve got a limited capacity for uptaking water without roots. If cuttings were in a low humidity environment, their transpiration would increase, forcing them to use water stored within their cells for their metabolic processes, leading to a loss of turgidity and eventual death of the plant. A simple propagator can help keep elevated levels of humidity for small plants. For larger areas you’ll need to use a humidifier. Flowering and fruiting plants demand lower humidity levels (between 40 - 60%), since dense, moist flowers and leaves provide a perfect breeding ground for bacteria and fungus which could lead to a loss of yield or in the worst case, a total loss of the crop. This can be avoided by keeping humidity low, so the mould spores don’t get a chance to infect your plants. You can reduce your humidty with our abzorb hangers or use a dehumidifier for larger spaces. You may have heard of the Ozone Layer that absorbs cosmic UV radiation from the sun - In an indoor garden, Ozone can be generated to help remove odors. While we don’t recommend you remove the carbon filter from your garden, you can use both an ozone generator and carbon filter to ensure no detectable smells escape your garden. Ozone also attacks bacteria, fungus and microorganisms helping to keep your plants free from pests! Some species of plant can cope and make use of a higher level of CO2 than is found naturally in the atmosphere. Some gardens use CO2 management to regulate the CO2 levels to higher than what is found naturally to speed up the photosynthetic process and plant growth. The cheapest option for CO2 enrichment is CO2 bags, which contain a fungal mass that slowly releases CO2. For larger areas we supply CO2 regulators and bottles that can reach and maintain a set parts per million (PPM). We carry a range of opticlimate units that are an all-in-one solution to your environmental control. By heating, cooling, dehumidifying, circulating and filtering the air the Opticlimates allow you to obtain and maintain the perfect conditions for the growth of indoor plants. There’s also several extraction accessories that you can use to optimise your extraction system. Including: Y pieces to split ducting, backdraft shutters to stop air movement in the wrong direction and ducting reducers to link up two different sizes of ducting. We also supply fast clamps, jubilee clips and couplers to join ventilation to other components.